Imagine dangling from two long strips of fabric hanging from rafters, tying yourself in beautiful knots and performing gravity-defying stunts that would make your mother’s stomach turn. That’s aerial silks, something Columbia College graduate Dot Johnson does on the regular. 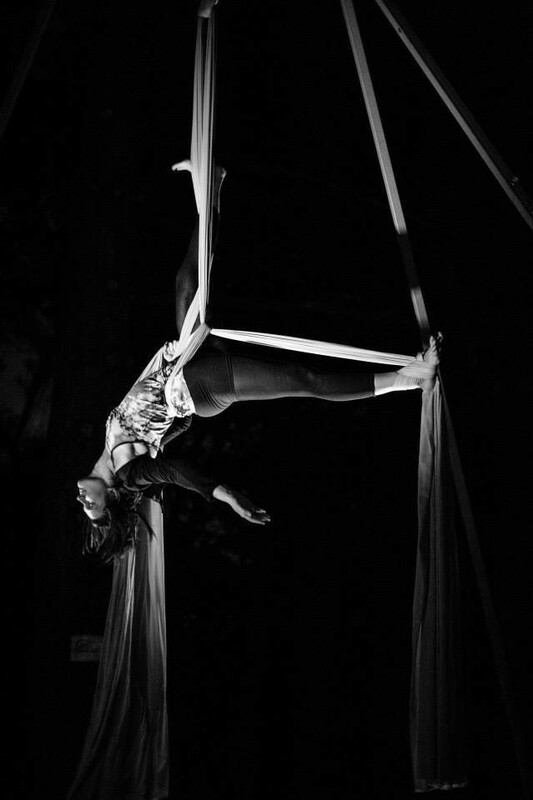 Dot Johnson, a 2013 Columbia College nursing graduate, is an aerial silks performer and teacher in her free time. 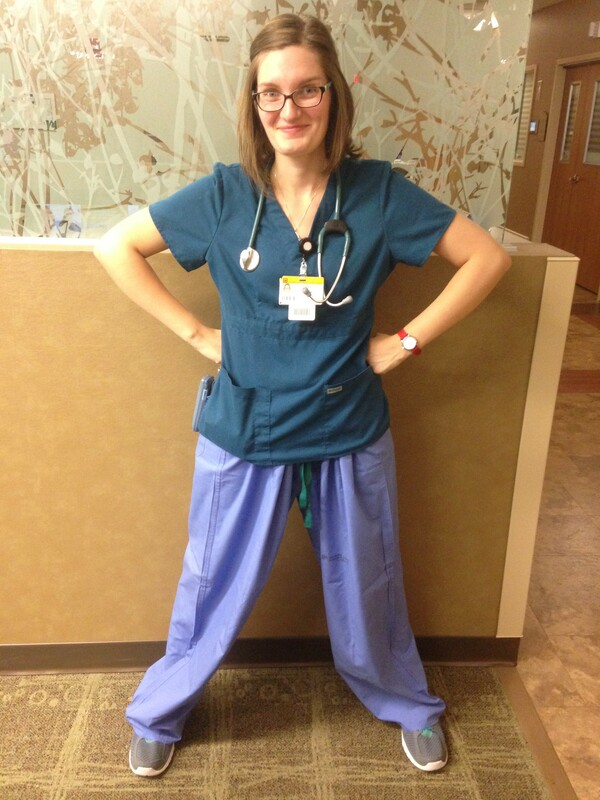 Dot graduated from Columbia College in 2013 with a nursing degree, but she isn’t your average nurse. She is an aerial silks performer and instructor in her free time. Combining her high-flying hobby with an extremely difficult profession, her typical week is probably more action-packed than most people’s. Aerial silks, offered locally through Wilson’s Fitness Center on Rangeline Street in Columbia, is a performance art in which aerialists climb the hanging fabrics and perform contortion and acrobatics. It is most often associated with Cirque du Soleil. Dot has been practicing aerial since 2008 in her home city of Chicago, when a friend asked her to come try it. After aerial came to Columbia in her last year of college, Dot joined. As the program, dubbed “CoMo Aerial Arts,” got bigger, more instructors were needed. With her nursing certifications and aerial experience, she took the training and now has two classes that she teaches twice a week. But Dot is more than just a skilled aerial performer. She also prizes her day-to-day profession, helping patients at Surgery Center at the Forum as a nurse. The practice performs many different procedures, its specialties being LASIK and eye correction. Dot Johnson works with patients at Surgery Center at the Forum. She worked at the University Hospital Intensive Care Unit for six years prior — before and during nursing school, then as a graduate. Dot initially started at the University of Missouri, but working part time and taking 22 credit hours at a big school wasn’t quite her style. So she did some research. Her grandmother just happened to share a friend with Dr. Joyce Gentry, chair of the Columbia College Nursing department. Dot spoke with her future mentor about the program, applied and got in. 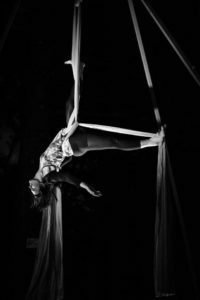 As an aerialist, nurse and Columbia College alumna, Dot has been successful in many facets of life, and people have noticed. “She has just developed and blossomed into this amazing young nurse,” Gentry said.